He knew there were problems. He didn't think he was one of them. 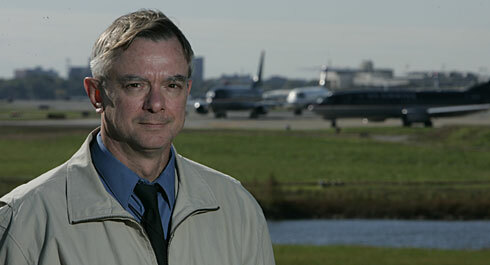 In 2002, decorated FBI Special Agent Mike German was investigating meetings between terrorism suspects. When he discovered other officers had jeopardized the investigation by violating wiretapping regulations, he reported what he found to his supervisors, in accordance with FBI policy. At the time, Coleen Rowley, the FBI agent who had raised concerns about how the pre-9/11 arrest of al-Qaeda conspirator Zacarias Moussaoui was handled, was being hailed as a national hero. German says he had also just received a mass e-mail from FBI Director Robert Mueller, urging other whistle-blowers to come forward. "I was assuming he'd protect me," German says. Instead, German says his accusations were ignored, his reputation ruined and his career obliterated. Although the Justice Department's inspector general confirmed German's allegations that the FBI had "mishandled and mismanaged" the terrorism investigation, he says he was barred from further undercover work and eventually compelled to resign. FBI spokesman Bill Carter declined to comment. The experience is familiar to other government employees who have blown the whistle on matters of national security since 9/11. Since the terrorist attacks on Sept. 11, 2001, the average number of employees filing whistle-blower disclosures with the government has risen 43%, from an average of 376 annually in the four years before the attacks to 537 annually after. The statistics are kept by the Office of the Special Counsel, an independent federal investigative agency that handles whistle-blower cases if employees prefer not to directly confront their bosses about suspicions of wrongdoing. An increasing number of whistle-blowers allege that rather than being embraced, they're being retaliated against for coming forward. In the four years before the terrorist attacks, whistle-blowers filed an average of 690 reprisal complaints with the OSC annually. Since the attacks, an average of 835 complaints have been filed each year, a 21% increase. The number of whistle-blower reprisal complaints is higher than the number of whistle-blower disclosure complaints because employees can file reprisal complaints with the OSC even if they had not previously filed their disclosure with the OSC. "The sad reality is that rather than learning lessons from 9/11, the government appears to have become more thin-skinned and sensitive," says Tom Devine, legal director of the Government Accountability Project, a non-profit group that offers legal aid to whistle-blowers. Even advocates have begun to dissuade some government employees from coming forward. "When I get calls from people thinking of blowing the whistle, I tell them 'Don't do it,' " says William Weaver, a professor at the University of Texas at El Paso and a senior adviser to the National Security whistle-blowers Coalition. "Most of the time they go ahead and do it anyway and end up with their lives destroyed." Those who come forward often face harassment, investigation, character assassination and firing — not to mention the toll their whistle-blowing takes on their families, Weaver and Devine say. For those who are fired or have their security clearances revoked — tantamount to firing in the intelligence agencies — there is little recourse. Most national security whistle-blowers are not protected from retaliation by law. That's because the intelligence-gathering agencies are exempted from the 1989 whistle-blower Protection Act, which guarantees investigations into disclosures made by federal employees and protects whistle-blowers from retaliation. Whistle-blowers employed by these agencies must seek recourse within the same agency they are blowing the whistle on. And even if the investigators within their own agency confirm reprisal allegations, the investigators have no power to remedy the situation. Devine says the U.S. Court of Appeals for the Federal Circuit has ruled against whistle-blowers in 125 of 127 of the reprisal cases seen by the court since 1994. "They've gutted the law," Devine says, "and it's degenerated into a rubber stamp for retaliation." Lawmakers recently considered two sets of legislation that would affect whistle-blowers. One attempted to extend the whistle-blower Protection Act to cover intelligence agency employees through amendments to the 2007 Defense Authorization Bill. In October, a conference committee removed the whistle-blower amendments from the final version of the bill. The other bill that might affect whistle-blowers stiffens penalties for knowingly leaking classified information to those not authorized to receive it. That bill was introduced by Sen. Kit Bond, R-Mo., in response to recent leaks to the media about national security programs, says Bond's press secretary, Rob Ostrander. "When classified information is printed in the newspapers, it's not just Americans who read it," Ostrander says. "It's also America's enemies." Bond's legislation would make prosecuting leakers easier by eliminating the need to prove the disclosure damaged national security. The measure would subject those who leak classified information to a fine and up to three years in prison. It would apply to those who signed a non-disclosure agreement, regardless of their job at the time of the leak. The bill uses language identical to that in a 2000 bill — dubbed the "Official Secrets Act," after a similar British law — that was vetoed by President Clinton. It has been endorsed by the Association of Intelligence Officers, a 31-year-old group of 4,500 current and former intelligence officers. Bond's legislation has been referred to the Senate Judiciary Committee. If it does not make it to a floor vote by the end of this session, he will have to resubmit it when the next session begins in January. The National Security whistle-blowers Coalition, the Government Accountability Project and various media organizations have criticized the legislation and claimed it would deter whistle-blowers from coming forward. Ostrander says, "There are adequate opportunities for whistle-blowers to contact superiors and the federal inspector general's office or their own representatives" without leaking classified information to outside sources. National security whistle-blowers who have come forward since 9/11 aren't so sure. Many had been star employees at the top of the pay scale and had spent decades in civil service before blowing the whistle. The median number of years of government service for National Security whistle-blowers Coalition members is 22 years, says Sibel Edmonds, an FBI whistle-blower who founded the coalition. Edmonds and others worry that fear of committing career suicide may dissuade others from coming forward. "But is that the important story here — that one person in the country has been fired or is not being used to their fullest potential?" she asks. "It's the country that's going to suffer from a lack of whistle-blower protections." Sibel Edmonds, who formed the 100-plus member National Security whistle-blowers Coalition in 2002, began working as a linguist for the FBI the week after the Sept. 11, 2001, terrorist attack. Several months into her contract, she discovered "shoddy" translations relevant to 9/11 created by translators who had "failed the proficiency exams," she says. A report by the Justice Department's inspector general subsequently confirmed that at least one translator had failed the FBI's language proficiency exams. Edmonds says the translator was sent to Guantanamo Bay to translate "the most sensitive terrorist-related information" from interviews of detainees. Edmonds also notified her superiors that a co-worker was responsible for translating wiretaps of a company the latter used to work for. The co-worker "was blocking the intelligence coming from her family members and friends," Edmonds says. Edmonds took a polygraph test and was investigated for typing her allegations — which contained classified information — on her home computer, even though her supervisor had given permission for her to do so, the inspector general's report said. The Middle Eastern language specialist was fired in March 2002. When Edmonds asked why, she received a letter saying her contract had been "terminated completely for the government's convenience," according to legal briefings her lawyers filed in the lawsuit contesting her firing. In its final report, the inspector general concluded that "we believe that many of (Edmonds') allegations were supported, that the FBI did not take them seriously enough, and that her allegations were, in fact, the most significant factor in the FBI's decision to terminate her services." The same month the report was released, Edmonds' lawsuit to contest her firing was dismissed. Legal briefs show the government had invoked the so-called state secrets privilege, arguing that the lawsuit would jeopardize national security. The state secrets privilege — a series of U.S. legal precedents — has been cited by the federal government at least 18 times since 9/11 and at least 81 times since the privilege was first recognized in 1953, according to the Reporters Committee for Freedom of the Press. "Instead of protecting and standing up for whistle-blowers, this is just giving the complete green light to retaliate," says Edmonds, who lost her appeal. FBI spokesperson Bill Carter declined to comment, citing privacy concerns. Most people first heard about Russell Tice last December when the former National Security Agency intelligence analyst asked to testify before Congress about NSA programs he claims are illegal. But his confrontation with his employer began much earlier. In 2001, Tice reported suspicions that an employee of the Defense Intelligence Agency, which oversees the NSA and other intelligence-gathering agencies, was spying for China. When he followed up on the allegations several years later, Tice was ordered to undergo a psychological evaluation. Although he had passed his regular exam nine months earlier, the in-house psychologist conducting the latest evaluation decided Tice had psychotic paranoia. After almost 20 years in intelligence, Tice's security clearance was revoked. He was transferred to a maintenance position at the NSA vehicle pool, and then to a government furniture warehouse. Just days after publicly urging Congress to pass stronger protections for federal intelligence agency whistle-blowers facing retaliation, he was fired in May 2005. "They treat a whistle-blower like a virus which they basically surround with buffers in an attempt to marginalize, isolate and prevent from having an impact on an organization," says Tice's lawyer, Joshua Dratel. Tice, through his lawyer, declined a request for an interview. On July 25, Tice received a subpoena to "testify and answer questions concerning possible violations of federal criminal law" before a federal grand jury. The subpoena did not indicate whether he was the target of the investigation or whether it involved disclosures he made for a New York Times story on a NSA wiretapping program. Tice has acknowledged that he was the source for the Times piece in a January interview with ABC News and in press releases issued by the National Security whistle-blowers Coalition. NSA spokesperson Don Weber declined to comment on Tice's allegations. "The National Security Agency upholds the highest standards of integrity in its handling of allegations of unlawful or inappropriate practices, and respects fully the requirements of the formal process by which such allegations are investigated," Weber wrote in an e-mail. either began as such or were recruited by the gov't as they became "celebrities." Just think O'Reilly, Hannity, Glenn Beck, etc., & all the rest of the lying promoters of the gov't propaganda! Anonymous (not verified) on Mon, 11/27/2006 - 10:29am. Everytime I hear or read the name Bill O'Reilly I hear the Omen music in my head! Daff-E on Tue, 11/28/2006 - 9:23pm.